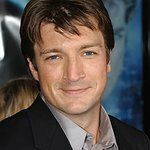 Nathan Fillion is best known for his lead roles in Firefly and Castle. He established Kids Need To Read to create a culture of reading for children by providing inspiring books to underfunded schools, libraries, and literacy programs across the United States, especially those serving disadvantaged children. Google trends for "Nathan Fillion"
We don't have any videos related to Nathan Fillion.